It's always nice to see the Seahawks in white/white, white/gray, gray/gray, or blue/gray (if the home team opts for white) on the road. Save the blue pants for the home games. Based on schedules being released in terms of jerseys, this is the chart that I have made. Week 5 says that Dallas and Houston are both wearing dark when they play each other in NRG Stadium. Week 13 states that both the Steelers and Chargers are wearing white for their game in Pittsuburgh. It was a few years back when they announced that they will only wear the grey pants with the blue jersey on the road. But they'll be dumb and wear the gold ones. That has been fixed. Thanks for the heads up on that. The seahawks should save the blue pants for a bonfire. Wearing gray pants, full time home and road is just about the only way they could make this mishmashed uniform passable. Fully agree. Can't stand their blue pants/blue socks look. The gray works extremely well with both jerseys. The Packers always seem to choose the worst opponents for their throwback games. Every year I look at their schedule and think 'wow, that'll be a great looking game' and then of course we discover they will bust out those ugly throwbacks. As I've said before, I wish they would wear them against division opponents more often since they wear the same uniform against them year after year. You had me until the second sentence. Burn the blue pants. Heard the Browns had something planned for their field for Thursday. Here it is. Just once I want to see the elf at midfield. Now would be the time to do it! 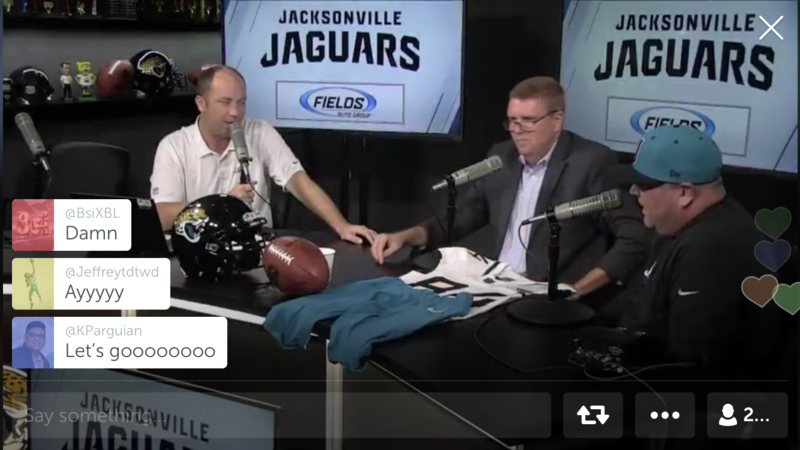 Jaguars in white over teal for the first time in franchise history this week, per their weekly segment. This is also the only combo that they never showed in any promotional material or appearances (aside from black over white, which we saw already in the preseason). Good on them to buck white on white if they’re not gonna wear teal or black. FINALLY! I've been waiting for them to do this since 1995! Heck, try 1993. That’s what their road combo was announced to be at the time. I'm stupid excited for the teal pants! That tweet looks good. 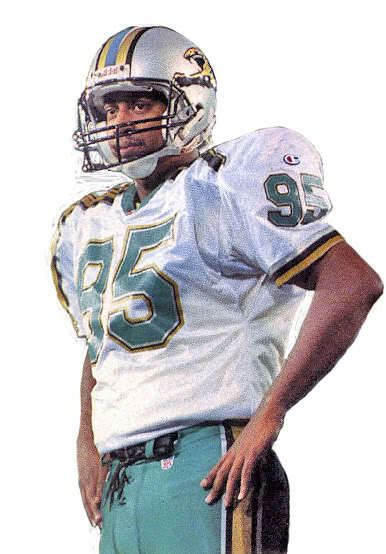 The Jags white over teal look is my go to uniform in madden now. That white over teal look is kinda cool, but also pretty odd looking, much like what the Ravens wore last Thursday. If these teams just kept black as the pant color and added enough teal/purple to the pant striping and socks, there'd be no need for these cartoonish, Madden-esque combinations we keep seeing more of. Players and fans will respond positively simply because it's new and interesting, but that teal just looks so out of place with the lack of teal above the pants. It works nicely with the socks though. This would look good if there was any teal in the jerseys...And it had a pants stripe. And least its different form the generic 1-AA South from NCAA Football video game look they have in white pants. Or the soul-less look with the black pants.